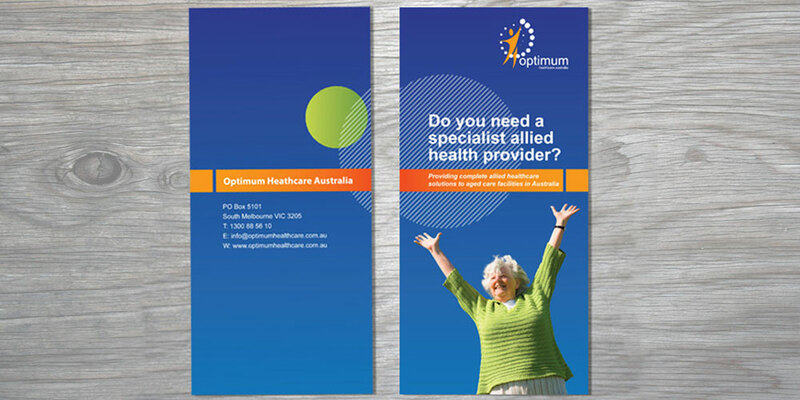 Result: Optimum has seen significant growth over the last year. They now have an essential selling tool that helps their sales funnel. Both the brochure and website have been valuable tools in acquiring new business. There are plans for more collateral to be developed in 2014. Challenge: As a provider of allied health specialists, focused on aged care facilities, the company wants to attract busy managers who may need their services. Previous approaches have not resonated. They used negative images and looked unprofessional. 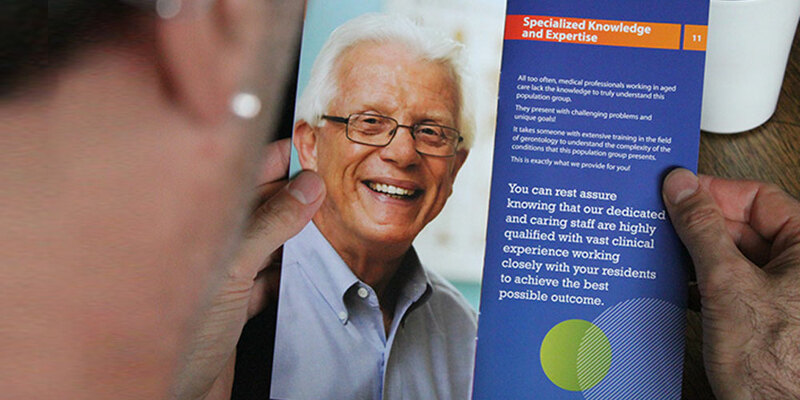 Needed a brochure that used positive images and significantly reduced the amount of content. 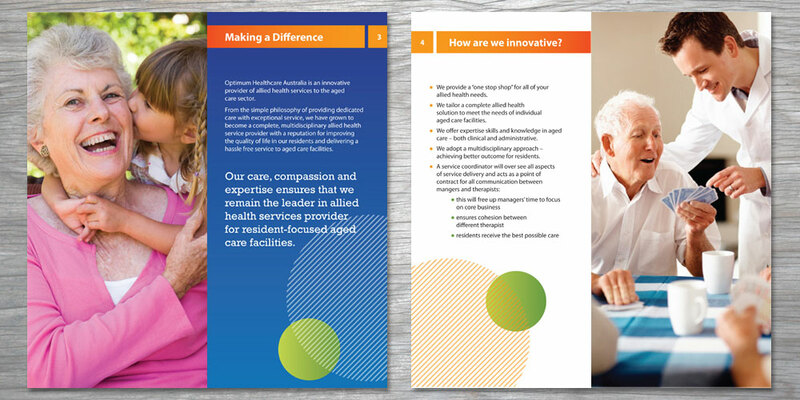 The brochure had to be easier and quicker to read than previous and the design also needed to help inform the look and feel of the website.